We are egg-static to share with you all the exciting things going on in Searcys venues over the Easter period! Easter falls around the time of the spring equinox which marks the end of winter and beginning of longer daylight hours. Eggs are often associated with this time of year as they are the pagan symbol for spring and new life which was adopted by Christians in Britain. Decorated eggs were therefore given as gifts in the Victorian era; however, the tradition of chocolate Easter eggs first became commonplace in Germany and France in the 19th century. Osteria at the Barbican will be serving delicious colomba cakes imported from Italy this Easter. 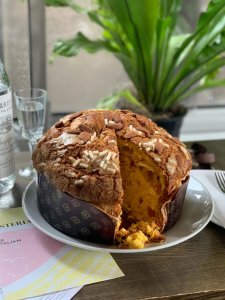 Colomba cakes are traditionally eaten at Easter in Italy which are made of a sweet dough, which taste similar to a panattone, an Italian Christmas cake. Heat the oven to 200˚C and line a muffin tin with paper cases. Sift the cocoa powder into a mixing bowl. Mix the boiling water with the cocoa to form a thick paste. Add the remaining cake ingredients to the mixture and beat. Divide the mixture equally between the 18 paper cases. 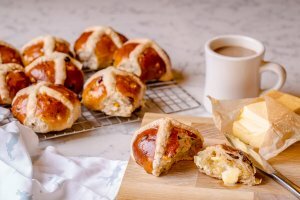 Bake for 12-15 minutes until they are well risen and springy to the touch. Leave the muffins to cool on a wire rack. Beat the icing sugar, butter and cocoa powder together. Add the milk and melted milk chocolate and beat on high for 5 minutes. Using a piping bag with a fluted nozzle, pipe a nest of frosting on top of each cake. 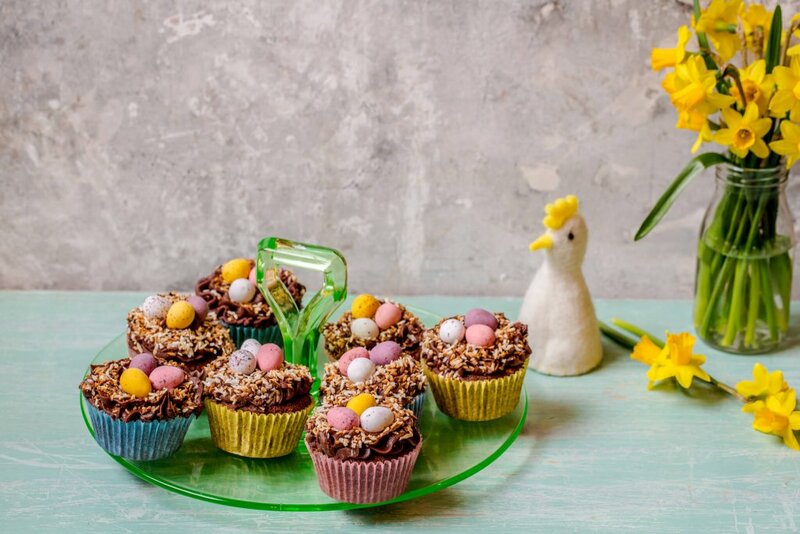 Sprinkle the toasted coconut over the frosting and place 3 chocolate eggs in the middle of each nest.